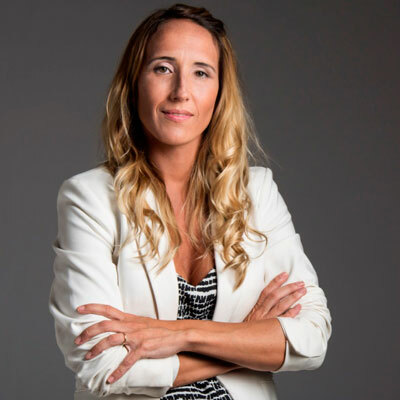 Claudia is a high-tech professional with more than 15 years of experience in overseas sales, marketing and channels strategy, including working with alliances and distributors in multinational companies in Latin America. Claudia has experience in developing and implementing strategic business plans as wells as managing channels transformation with a deep understanding of the entire Latin American region. Claudia led the Partners Sales transformation of Symantec and HP in Argentina, Uruguay and Paraguay. She is strongly motivated by great business results and feels comfortable managing teams to achieve business goals. Claudia spent the last two years developing the commercial strategy of Sophos in the Multicountry region of Latin America, managing to supercharge the proposed objectives. She was recognized for leading the best region of LATAM FY18. Claudia's passions are her family; her two children Mateo and Felipe and her husband Diego. Claudia enjoy sports, basketball and running, and loves to travel and meet new cultures. During the past year I, with my team, have developed the Sophos business in Multicounty Latin America focusing on enhancing brand awareness with customers and channels of the region. I was responsible for executing and carrying out the commercial strategy developed with the channels, achieving client growth and billing year after year. I manage the sales and engineering team for the entire region, working collaboratively with our channels. Additionally, I coordinate the strategy with the different departments, sales, marketing, and operations to look for process improvements. I am part of the leadership team that restructured the channel ecosystems in LATAM and I participated in the channel enablement project in the region. I will continue to work on creating brand awareness in the MCA, growing market share in Multicounty by aligning work with partners and distributors, and enabling the channel to help grow their services in the region. I will also support our partners and their customers throughout the market's digital transformation process. We have to empower our channel to provide the excellent service our customers deserve. We want to be the #1 security leader company in Latin America, and I believe we have the right strategy, the passion and the best team to go for it. Last year I was awarded by TOP Region for the most growth in LATAM for my leadership of the Andean region which is part of my overall region. I consider myself a feminist so, I have a long list of women in history and today that I admire, ranging from Business to politics and art. They include Alicia M. Justo, Frida Kahlo, Evita Perin, Teresa de Calcuta and Isela Constantini, to name a few. It's difficult for me to just choose one woman, but Alicia Moreau was famous for looking for civil rights for Argentinian women at the beginning of the century. I admire her fight, passion and search for the civil rights of women in our country. Be passionate. Follow your heart and your intuition. Never stop asking questions, questions take us to the next step. It's good to question and want to know more. Keep learning and be socially responsible. Help others. We are part of a society, and we have to take care of this responsibility. Also, do not take no for an answer, there are always new opportunities and you should go for them. You can create your own opportunities! Believe in yourself. Although I believe English is the universal language, I would love to be multilingual to be able to communicate efficiently with all regions in Sophos in a native way. I would also like to be more assertive in my communication so that I can express myself more efficiently with people on my team. Mujeres tenian que ser, de _Felipe Pinan. I love this book because it covers the role of women in Argentine history, from the native people and their resistance to the European conquest to those who won the first victories in their long struggle for equality. This book illuminates the women who carried on their shoulders the weight of history, those who broke the mold, and helped build a better world.